Hi everyone! 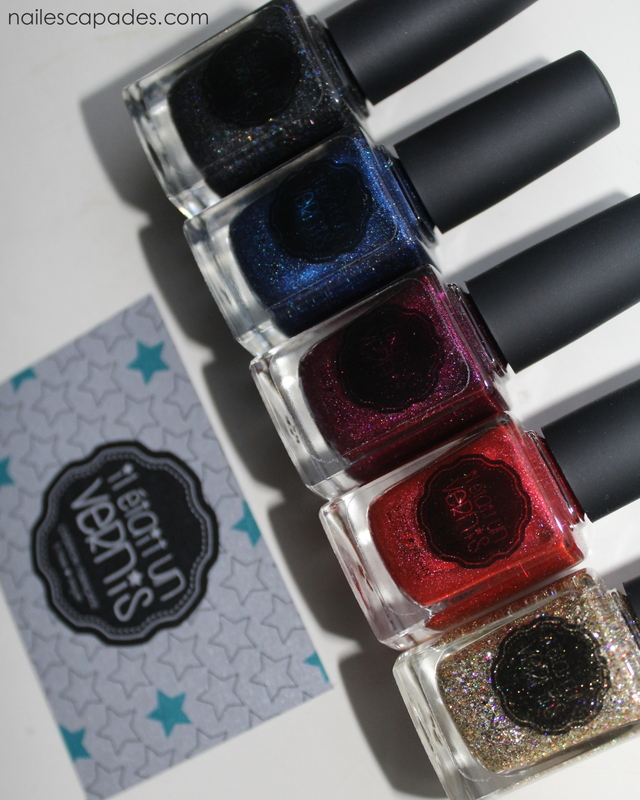 Today I'm really excited to introduce a new indie brand called Il était un vernis :) The anticipation has been super high on my part, because the creators are two extremely talented girls who are very famous in our ever-expanding nail polish community: Bé (Bérangère) from Vernis En Folie and Stéphanie from De Tout Et De Rien. 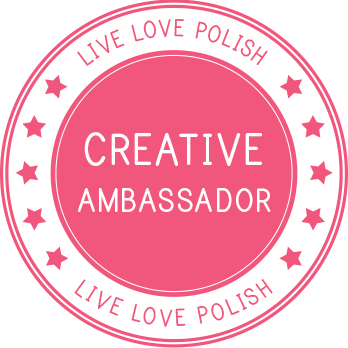 These two girls became friends a few years ago; they met through their blogs, and after many chats about glitter, magic and nail polish they actually decided to create their own nail polish brand! It's like every NPA's dream come true! They came up with a motto: Creating colors they've never seen in their Helmer's drawers! Taking inspiration from seasonal trends in fashion, interior design and beauty - they hope to create something unique and beautiful. 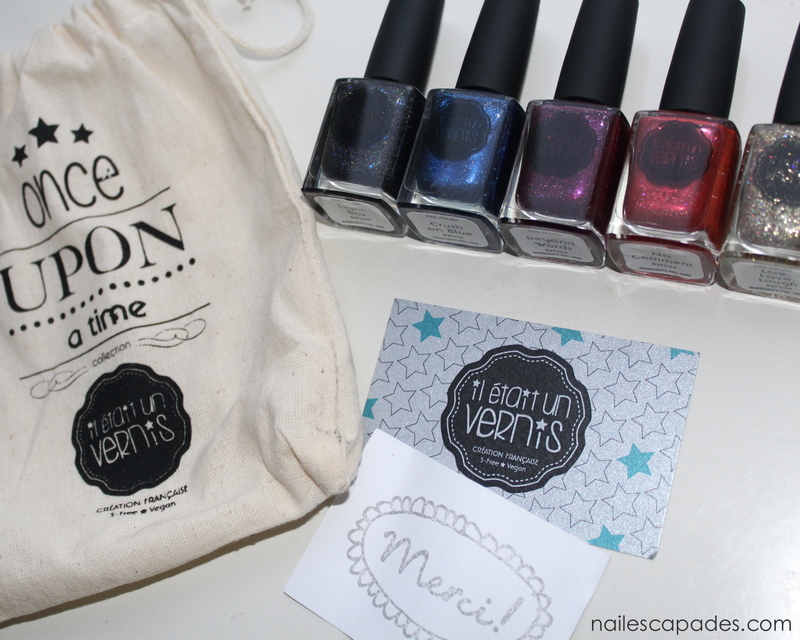 Today I present to you 2 polishes out of 5 from the very first Il était un vernis collection Once Upon A Time. Light Box is a charcoal/black based jelly with scatter-holo (meaning: scattered holographic micro flakes) and larger iridescent blue flakes. The quality is really amazing! I'm so impressed - it glides on like a dream and just looks SO gorgeous! I see a lot of Bé in this polish - you know she made a collaboration shade with Picture Polish right? It's called Hope. Do you see a small resemblance? Tiny blue pops of color and sparkle. As you may know, the scatter-holo finish is my absolute favorite of all the formulas in the world, so it feels like this collection is completely taylor-made for me! :) Anyway 2 coats, that was all I needed for full opacity - you can also choose to use 1 coat over a dark base color. 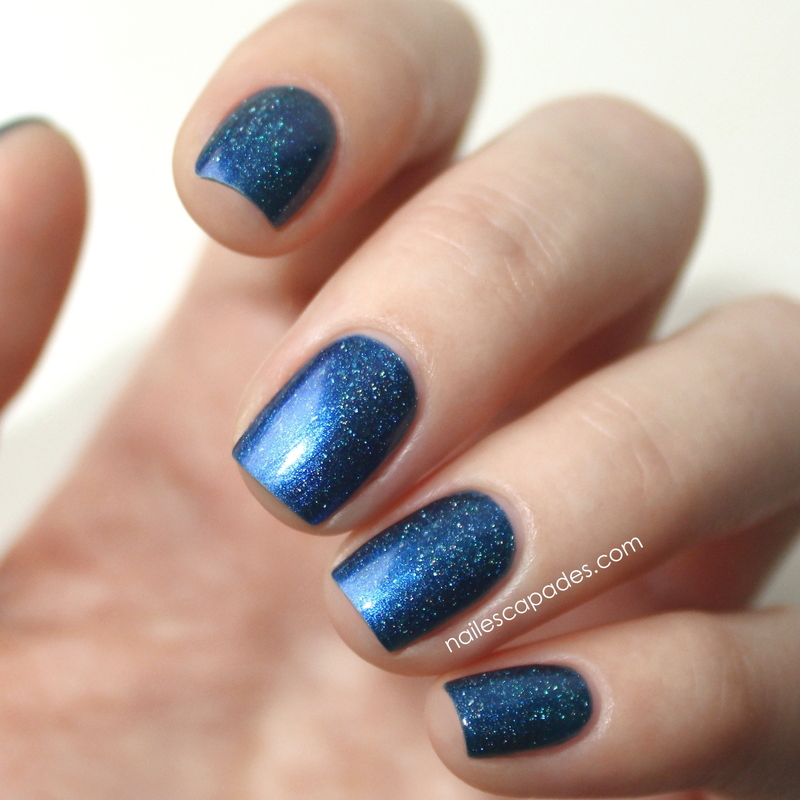 Crush On Blue is a medium blue metallic scatter-holo. 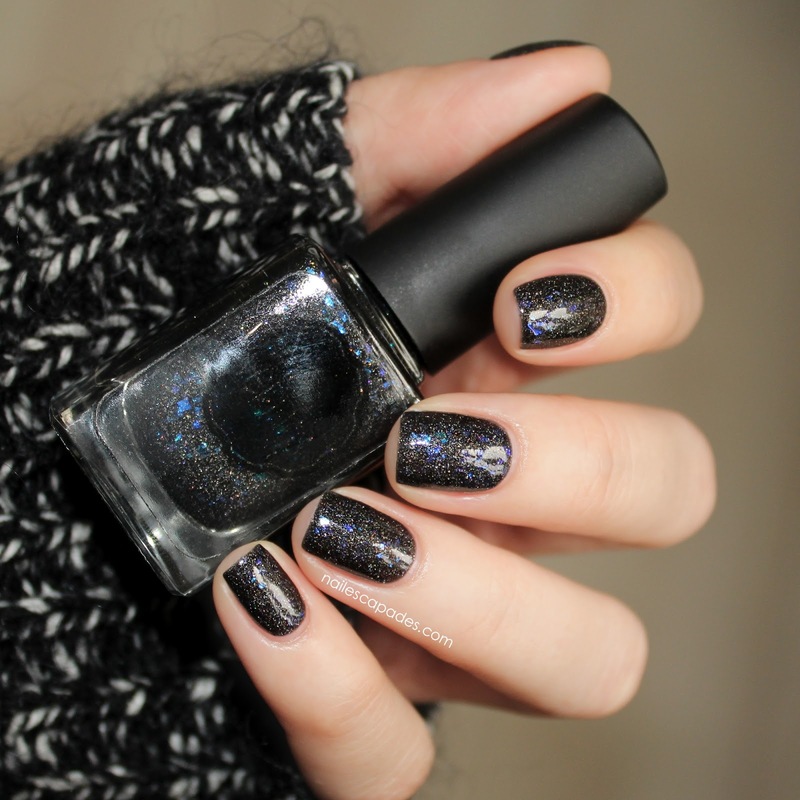 Yes, metallic scatter-holo!! What an awesome idea! 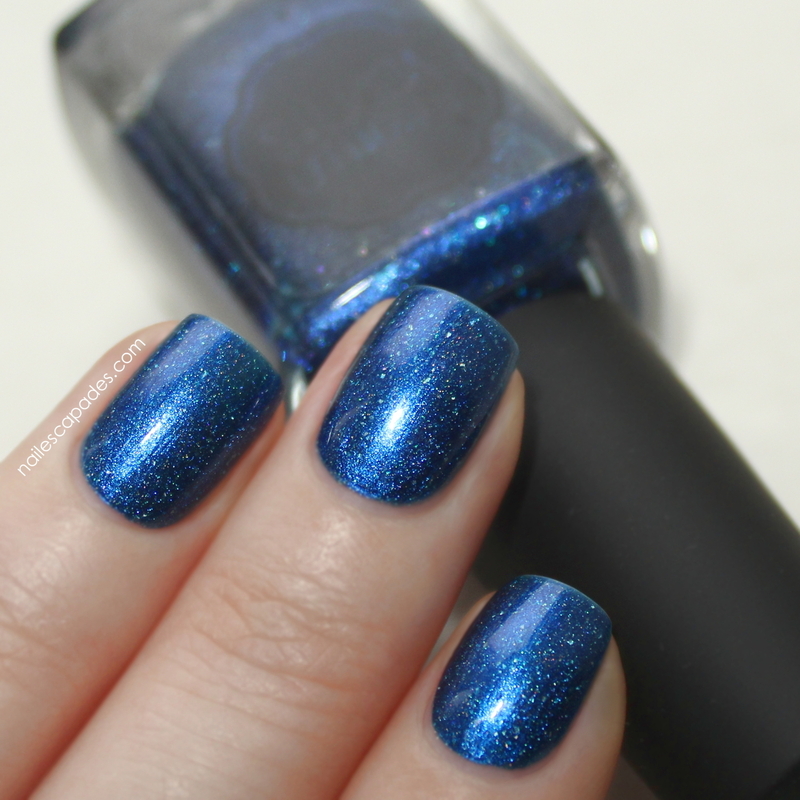 This blue shade is so captivating; the mix of shimmer and holo flecks creates a luminous setting - like the beautiful transition at dusk, and as stars begin to appear they cast sparkles all over the sky. To be completely honest, I have no idea how Bé and Stéphanie managed to acheive such high quality for their very first collection! This is 2 coats, and it's all you need for full coverage. Update: I'm sorry for the image quality for the Crush On Blue swatches! I have not yet invested in a proper setup with good artificial lighting, and as the Danish weather is crappy 99% of the time this time of the year, it's always a bet of luck to catch a moment with acceptable sunlight for a photo session. I tried my best to mimic light with the free photo-editing software GIMP (I'm really not a pro) and I almost didn't include the swatches in the post, but the polish is too damn gorgeous not to show off to you wonderful people :) I hope you understand! HUGE congratulations to you girls for chasing your dream and following through! You're such an inspiration to all of us, and you give us hope that we too can do what we set our minds to! They ship overseas with tracking YAY! 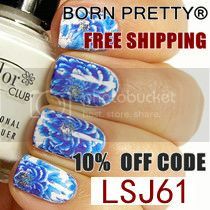 Transactions are secured by Paypal and orders are sent with the French carrier La Poste. Wow ! I was already totally in love with them however, your swatches are perfect ! I'm so disappointed to couldn't find the good words in English to describe how I love your pictures ! Det er nogle rigtig flotte swatches! :) Og jeg kender alt for godt til problemerne med at tage billeder, når Danmark kun kan tilbyde dårligt vejr!! Being a student, I am in dire need to keep track of my daily time so I need some timesheet info regarding your new software. Can anybody help?